Always in style, these velvety red roses are classic. With soft fillers and beautiful greens in a glass, lined cube vase. Classically romantic. 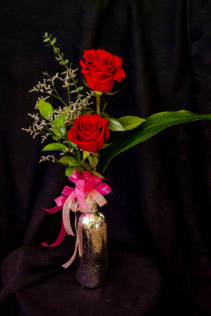 Why not give that someone special all of you with this mixed arrangement in a champagne bucket? 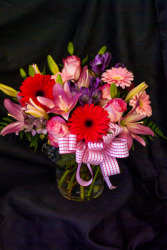 Roses, lilies, gerberas, and alstromeria together with lush greens will send all the right messages. 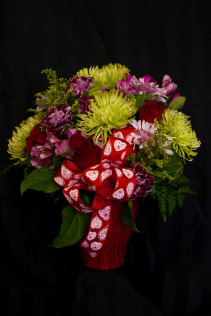 This beautiful, bright mixed arrangement is perfect for Valentine's Day! 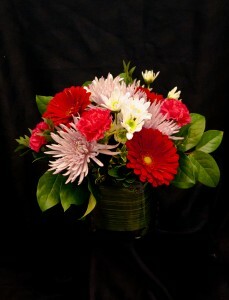 Deep red roses, green spider mums, classic carnations, with lush mixed greens all in a red ceramic pot. A stunning vision of love! Guide Cupid's arrow right to her heart with this attractive fresh arrangement with long lasting blooms. A true heart-warmer! 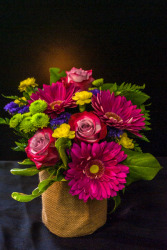 This bright arrangement is fun and modern with a rustic touch. Mixed blooms include roses and gerbera daisies, with lush greens, all in a burlap wrapped glass cylinder vase. 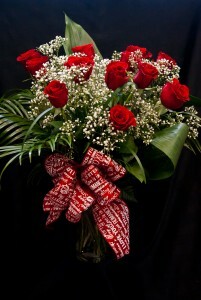 Show that someone special that they are on your mind. Looking for a sweet little token of your affection? 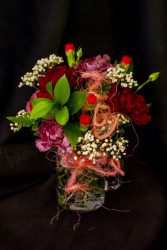 Look no further than this arrangement of carnations, baby's breath and mixed greens all done up in a mason drinking jar is perfect. 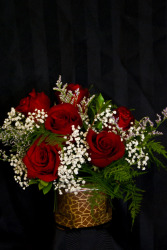 How about this romantic mixed floral arrangement in a ruby red rectangle vase? 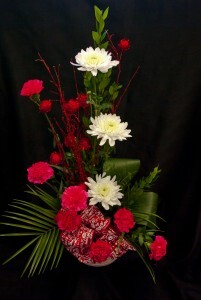 We found love with this beautiful arrangement! A timeless arrangement of a dozen roses with baby's breath, and lush greens. Endless love and beauty. Sometimes the simplest gesture is all it takes. Why not add a box of Peace By Chocolate or a cuddly teddy bear? For something a little different you can try a contemporary high style arrangement with a Valentine's Day theme. Romantic and funky! 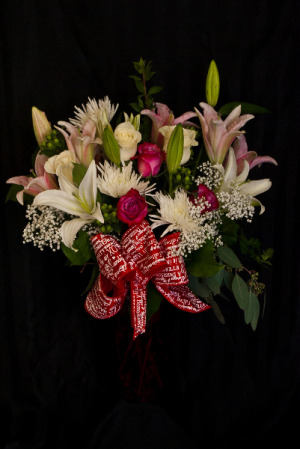 A classic combination of romantic roses, elegant lilies, and lush greens in a beautiful ruby red vase. 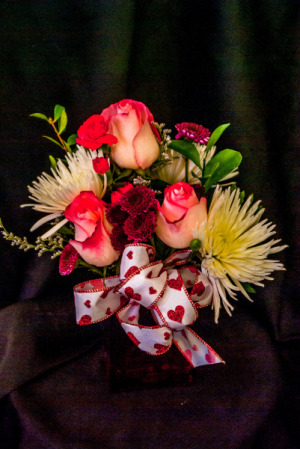 A truly swoon-worthy arrangement.